Bring a cozy look to a room with this ultra soft faux fur square accent pillow with a luxurious feel. The classic ribbed style on both sides in a chic ivory colour, adds a touch of casual luxury to your favorite chair, sofa, bed, or entryway bench. The soft polyester material is machine washable, with a handy side zipper to easily remove the poly fill insert that is included. Just fluff it up and watch this cuddly throw pillow add instant warmth to your home decor. Instantly transform the look of a room with this elegant square accent pillow in an eye-catching abstract dot design. In a tasteful two-tone light and dark brown colour, this cushion adds a chic update to a chair, sofa, bed, or entryway bench. The woven design on both sides is on a soft polyester fabric and the convenient side zipper allows for easy removal of the poly fill insert to machine wash the pillow cover. This classic throw pillow will give beautiful texture and dimension to your dicor! Upgrade your casual space with the addition of this versatile square accent pillow. The rich dark grey linen-like pattern on both sides brings style to a favorite chair, sofa, bed, or entryway bench. Made from durable polyester fabric that is machine washable and the convenient side zipper allows for easy removal of the poly fill insert. This classic linen-look throw pillow will brighten up any room dicor. Add some texture and dimension to your home dicor with this cozy square accent pillow. The light grey linen-like patterned finish gives a fresh element to a chair, sofa, bed, or entryway bench. Made from a soft and smooth polyester fabric that is machine washable and the convenient side zipper allows for easy removal of the poly fill insert. 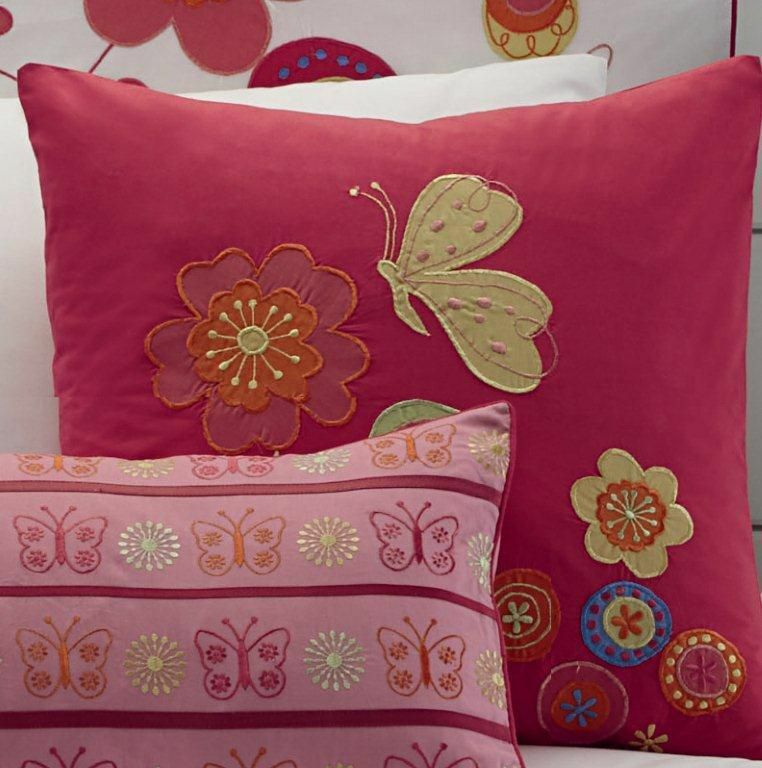 This casual throw pillow will brighten up any room in your home. Summer Square Shaped Cushion Contemporary Childrens Bedding - Beautifully designed bedding that makes little imaginations soar. Finely crafted from 100% cotton fabric for durability and ease of care. Skillfully finished using complementary prints and patterns, elabourate embroidery, and unique appliquis.